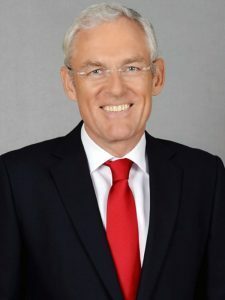 Esben Poulsson is Chairman of The International Chamber of Shipping, the London based Association representing approximately 80% of the world fleet. The Organization, founded in 1921, consists of 35 National Shipping Association members and 11 Associate Members. Straits Tankers Pte. Ltd. He also serves on the Board of the Maritime & Port Authority of Singapore (MPA). He was elected President of the Singapore Shipping Association in June 2015 and is an Advisory Panel Member of the Singapore Maritime Foundation. In November 2016, he was appointed to the Baltic Exchange Advisory Council following the acquisition of the Baltic Exchange by the Singapore Stock Exchange.